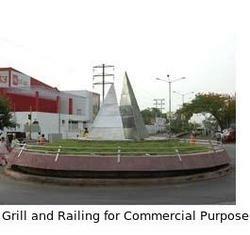 We are a leading Manufacturer of grill & railing for commercial use from Pune, India. Our clients can avail from us a wide range of Grill and Railing for Commercial Use. Our products are highly appreciated by the patrons for their excellent performance, corrosion resistance, high efficiency and elevated durability. Looking for “Grill and Railing for Commercial Use”?